Good looking and good for the environment! 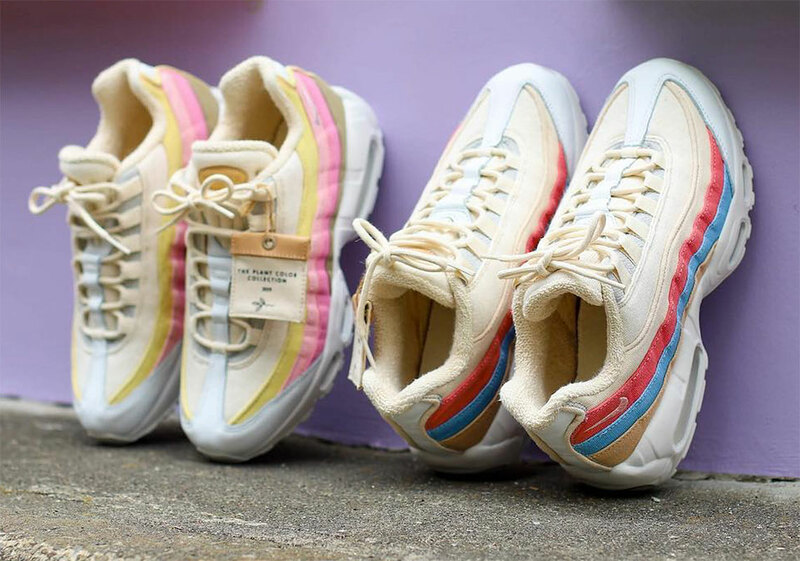 Nike unveiled their Plant Colour Collection a little while ago, with the Blazer Low and Air Max 95 getting the sustainable treatment. These plant based sneakers are crafted from Nike’s Flyleather, which is made with at least 50 percent recycled natural leather fibre, you can read about it here. 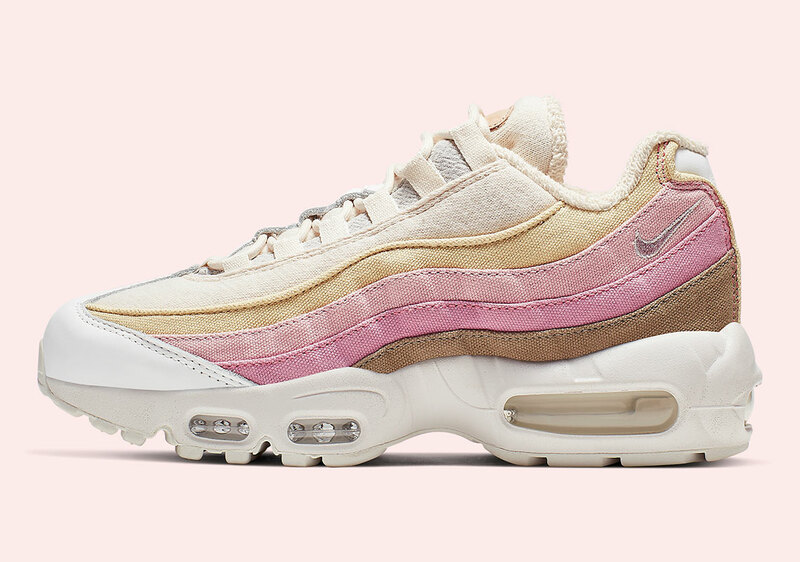 Nike have been trying to improve their footprint as best as they can, and these sneakers are definitely a step in the right direction. Arriving in two colourways, these kicks are not only going to be looking good but also doing good for the ground we walk on! 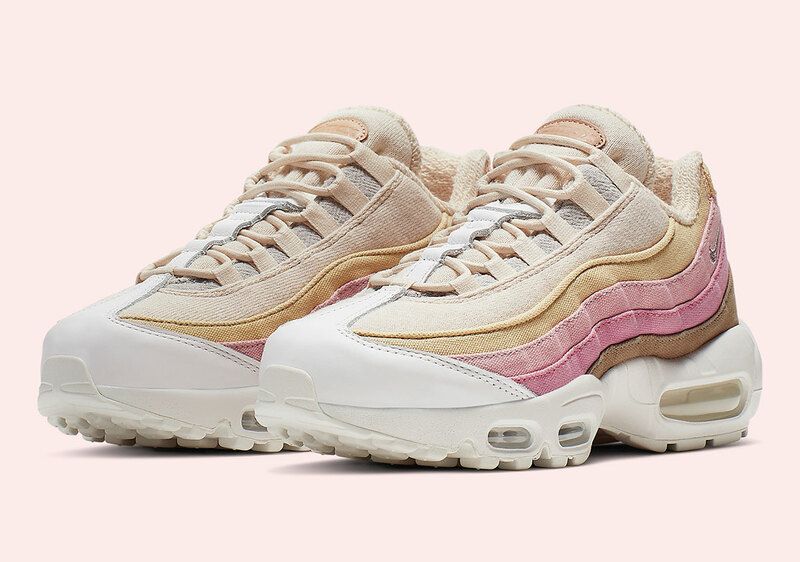 The pink colourway comes with a beige base, and tonal hues of pink and brown for the iconic Air Max 95 waves along the sidewalls. Showing off a very natural aesthetic with pastel hues, very on trend for the upcoming months. 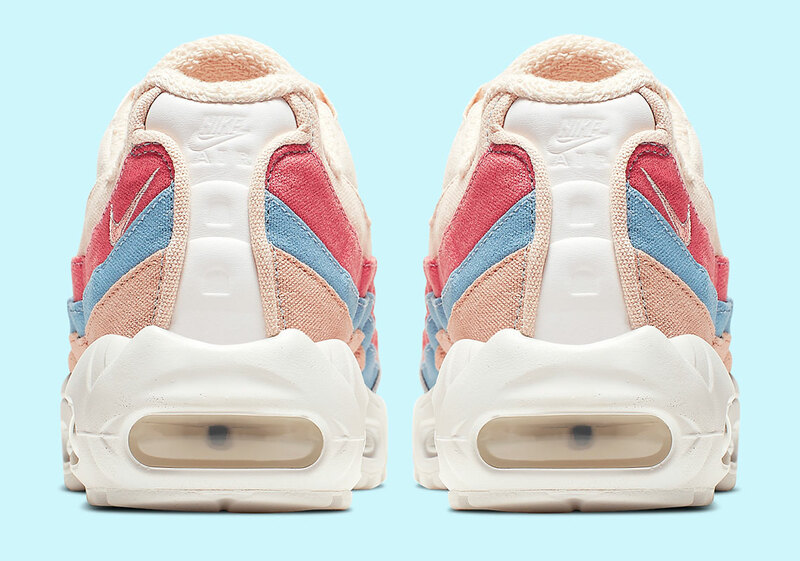 Swoosh branding is subtle near the heel of the sneaker, delicately debossed into the tab on the tongue and heel of the shoe. To finish the look, exaggerated seam detailing around the entire shoe adds an extra flare and ruggedness to the sneaker. 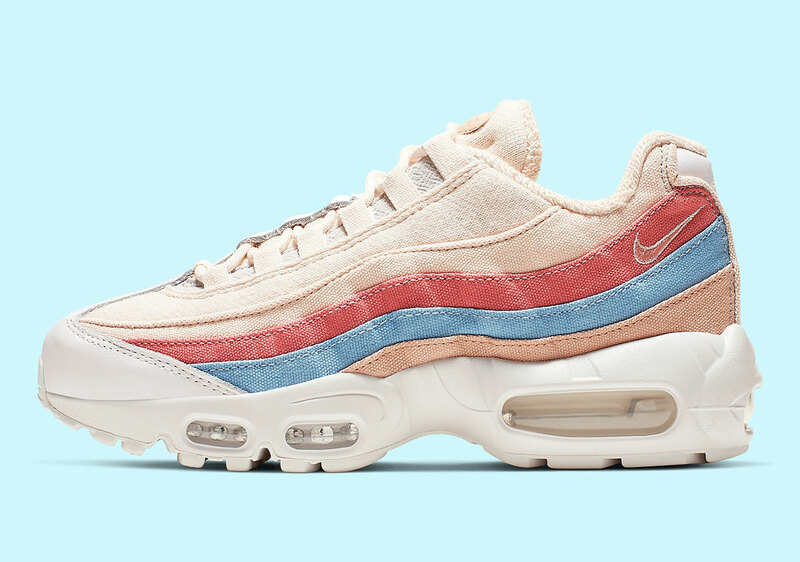 The second colourway comes, again, with beige undertones, completed with contrasting red, blue and peach wave colouring. Showing off a very natural dyed look and the canvas showing off a very authentic look to the age old sneaker. 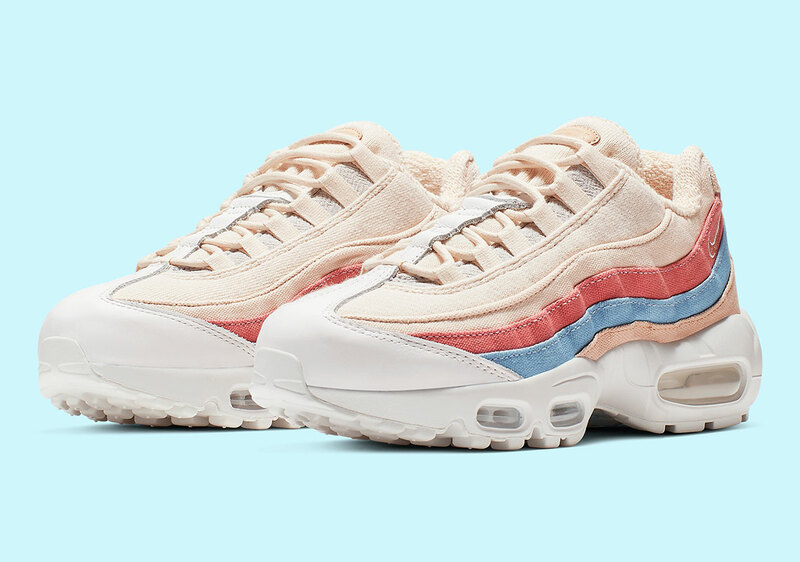 Red, followed by blue and peach create the lower waves, complemented with textile and the Max Air unit below foot for your comfort in these sustainable sneakers. 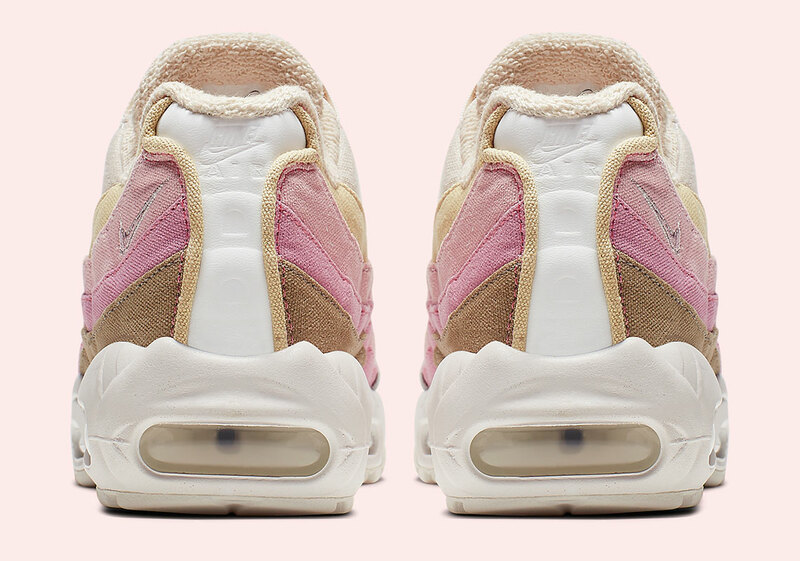 Both colourways are set to release later on this month on Nike, so be sure to stay locked to The Sole Womens where we’ll be reporting release information as soon as we get it!